Tim Holtz MINI DISTRESS INK STORAGE TIN Ranger TDA42013 at Simon Says STAMP! TDA42013 /3.3 This item is on reserve until If you would like to reserve this item now, you may purchase it now with the rest of your order. We will hold your order now and ship your entire order as soon as this item is back into stock. If you would like your order to ship now, please place this item on a separate order. 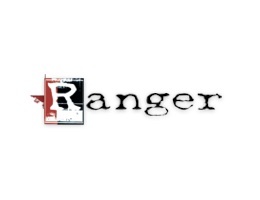 Success, Tim Holtz MINI DISTRESS INK STORAGE TIN Ranger TDA42013 has been shared! 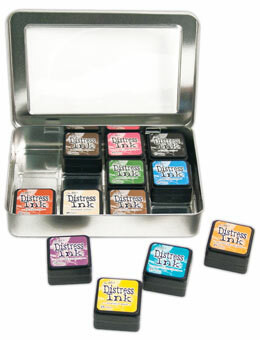 This portable container is the ideal storage solution for Mini Distress Ink pads. 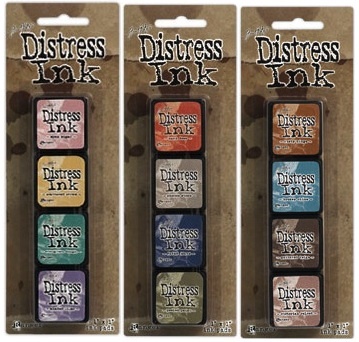 Each tin holds up to 12 Mini Distress Ink pads and includes a divider for easy accessibility (pads sold separately). Organize and transport your Minis easily. With an easy to see through clear window, hinged lid and light weight, the Mini Distress Ink Storage Tin is the perfect answer to small storage solutions.